Age-related macular degeneration (AMD) is one of the leading causes of vision impairment among older adults in the United States. It tends to cause vision loss in the center of one’s vision, making it difficult to recognize people’s faces or to read books or the newspaper. 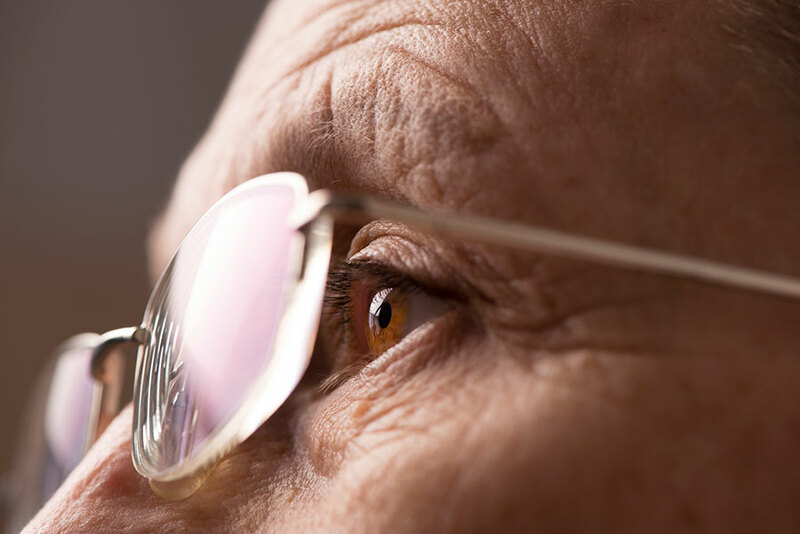 Advances in the diagnosis and treatment of AMD over the past decade have improved the chances of preserving or even regaining vision, and maintaining independence in daily living activities. What Part of the Eye Is Damaged by AMD? AMD is caused by the formation of abnormal deposits called drusen or abnormal fine blood vessels that leak fluid or blood underneath a part of the eye called the retina. If you think of the eye like a camera, the retina is like the film in a camera. It contains the photoreceptors that detect light and send the images to your brain to allow you to see. In AMD, the retina becomes bumpy and distorted. So, the images detected by a retina that has an irregular surface will cause images to become distorted once they get to the brain. It is similar to how pictures might look when they become warped by exposure to heat. Eventually, these areas in the retina where fluid or blood have leaked may eventually form scar tissue. As a result, blind spots may form in the center of the vision. What Factors Can Increase the Risk of Having AMD? AMD can be diagnosed on a complete eye examination by an ophthalmologist -- a medical doctor specializing in medicine and surgery for the eyes. Visual acuity testing: Your ability to read the letters on an eye chart may be affected by AMD, especially since it tends to affect the center of one’s vision. Amsler grid testing: An Amsler grid looks like graph paper, or a grid of criss-crossing lines. The lines should look straight and cross at right angles. But if the surface of the retina is distorted by AMD, it will cause corresponding areas of the Amsler grid to look wavy or blurred. This is a test that patients can even do at home to monitor their vision. Dilated retinal exam: Having the pupils dilated with eyedrops helps the ophthalmologist be able to examine the retina, the part of the eye damaged by AMD. In early stages of AMD, your doctor may see drusen, which are yellow spots containing fat that form underneath your retina. In more advanced stages, fluid or blood may be seen leaking into the retina. Retinal imaging: Your doctor may take various pictures of your retina to help diagnose and manage AMD. Optical coherence tomography, or OCT for short, has helped to revolutionize the management of AMD in the past 10 years. OCT is a way of taking a picture of the different layers of the retina using light rays. It helps your doctor to see where there may be fluid leaking into the retina and to determine the most appropriate treatment. Fluorescein angiography: This procedure involves taking pictures of the retina as a yellow dye flows through the blood vessels. It is another way to help your doctor evaluate the health of the retina. If you have early AMD, you may be advised to take a daily multivitamin and to monitor your vision with an Amsler grid. Early on, it is important to be aware of the symptoms of fluid leakage into the retina, at which point more aggressive treatment is needed. If AMD becomes “wet”, meaning that fluid or blood has collected underneath the retina, medications can be administered as a shot into the eye which are meant to make abnormal leaky blood vessels shrink away. Consistent follow-up with the eye doctor is very important at this stage, because medication may need to be administered to the eye as frequently as every month. These injectable medicines started to become available a little over 10 years ago, and many patients have been able to maintain or improve their vision because of them. Some patients with wet AMD benefit from laser treatment to prevent further vision loss. Special eye vitamins known as “AREDS2 ” are also recommended for patients with this form of AMD to help reduce the chance of progression of the condition. In later stages of the disease, if scarring develops in the center of the retina leading to blind spots in the central vision, special low vision aids can help improve the ability to read books and other print materials. There is research underway to help find better treatments for patients with advanced AMD. Have your eyes checked on a regular basis by an ophthalmologist, especially if you have any of the risk factors above. Avoid tobacco products. Smoking has been shown to increase risk of developing AMD. Include foods rich in lutein such as kale, spinach and other colorful fresh fruits and vegetables in your diet. Monitor your vision in each eye with an Amsler grid periodically. See your eye doctor if any changes in your vision develop. You can learn more about AMD here. For more information on Lifespan Physician Group Ophthalmology and how we can help you, please visit our website. Dr. Andrew Young is an ophthalmologist with the Lifespan Physician Group Ophthalmology.